[EN] What Reigns are made of. The building and breaking of a medieval political simulator. Note de l’auteur : cet article a été rédigé dans la langue de Tim Schaeffer Shakespeare afin de pouvoir constituer un compte-rendu de la séance du séminaire InGame de mars dernier pour mes camarades du groupe Facebook Historical Game Studies Network, dont la plupart sont anglophones. What Reigns are made of. The building and breaking of a medieval political simulator. A lot has been said about Reigns (Nerial, 2016). The game is a best seller, a popular and critical hit, won various awards and prizes and stands out as one of the best games of the year. That’s why I will be assuming that the reader of this article has played the game, and I’ll not explain all of its mechanics in details. But whitin this avalanche of feedbacks, the silence of historians -or at least people that have an interest in an historical approach and understanding of videogames- always seem deafening. Is this great piece of game design really unable to bear some kind of historical argument about the past ? Is it saying something about the medieval era at all, or more generally something about history, politics or the past ? I don’t know if many historically oriented game criticism has emerged about this particular game yet, but I’ll propose to bring my two cents. And I do it with quite a bit of confidence since I’m not an expert nor a pioneer, and I’m adressing a larger audience of scholars and non-scholars that find it fruitful to think the overlap of videogames and historical discourse. My approach and research interest deals essentially with the construction of the videogames, and the ways various elements are chosen, transformed, sewed together in order to be functional as both games and historical argument and discourse. A process I call, drawing from E. Aarseth’s expression, ludoformation. Thanks to a friend of mine and fellow Ph.D student (Guillaume Grandjean, coordinator extraordinaire) I had the occasion to be invited to a students’ seminar (séminaire d’élèves) held at the Ecole Normal Supérieure in Paris. The purpose of this seminar is each month or so to invite a game designer to present the game he/she made, and to engage in a conversation with a scholar/expert/critical support, along with the audience. On March 14th, the game was Reigns, the invited author was François Alliot, and I was the guest/co-host. During the course of this seminar, I was pleased to see that François really was incline to engage in a critical reflexion on his creation, more especially in terms of political and historical meaning. Although he reaffirmed several times that « it’s just a game » after all, he acknowledges that games do have an expressive potential, as games. And that’s why all of us were gathered here. My first interventions were about his historical influences. A broad topic, which was quicky precised to his literary, « scientific » knowledge of history. He did study a bit of history in high school, and uses his recollections of (medieval) history as an inspiration. The term here is really important : more than a pile of knowledge and a vast literature review, what was the most significant in the making of Reigns was his historical understanding, an interest in the mechanics more than in the collection of facts. Actually, he explained that the core mechanic of the game came first. The idea was to build a game based on a very basic binary interaction : swipe left, of swipe right to make a choice. The historical subject of Reigns is choice, reduced to its simplest (and maybe more effective ?) expression. But is « choice » per se an historical element ? The past is filled with political decisions, tactical manoeuvres, tales of romance, betrayal and glory, but depicting such typical – a-historical ?- types of events is not necesserily depicting « the past ». That’s why the attention to the specific context of such kind of events, and to recreate for the player not just « choice », but the kind of choice an historical agent could be presented to. I presented my first contact with the game by talking about the « historical games » I’ve been playing since I was a teenager : huge interfaces, rich backgrounds full of details and historical data (dates, events, characters, weapons…). Heavy on the toggles, buttons and switches. A ludic experience I’m still quite fond of, but I must admit that I really wasn’t familiar with a game like Reigns, a game that realizes the fusion of « Game of Thrones and Tinder », as our host said. And as François explained later on, building Reigns was largely a matter of deconstruction. At a certain level of development, he went into a phase where he planned to « break Reigns », in order to make it a better game. Since he was building a game about choice, strategic and political thinking, the idea was to take out visibility and information in the interface to really make it a game where the focal point is on the decision process itself. And in my opinion it is a crucial point for a historical game such as Reigns to be efficient. I strongly agree with the game designer’s position : playing a game is not solely about finding out an optimum, a perfect set of moves. It’s not about the mathematical theory of games, where games structures are bound to be broken and resolved (try to engage in a game of chess with an opponent that has a perfect comprehension of the patterns to apply !). It really seem to be about decision in uncertainty, about the expression of contingency, the anticipation of consequences and the possibility to play again, to play differently. While the first version of Reigns integrated numerical information about the precise consequences and the choice the player was about to make, driving his/her attention to the sole numbers, the final version sets an imperative for the player to actually… Play the move. And that’s also why the portraits of the characters are so minimalistic. 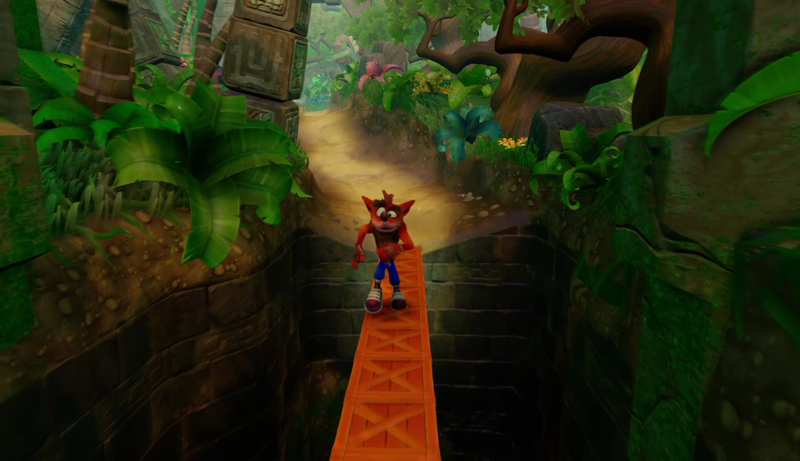 This also can be seen through the way randomness is implemented into the game’s narrative. Rather than a classic « branching paths » narrative, closing multiple choices as the player in engaging into one of the branches, Reigns is constructed using a « probabilistic-driven narrative ». By choosing one of the two possibilities (left or right, yes or no…) he will be oriented not only towards a single choice that necessarily follows the previous one (a card that is presented to him), but to a complete pool of choices. In that pool of new choices, one will me randomly selected, but the thing is that some of the choices in that pool are more likely to happen than others. There’s a combination that we can see right in the formal building of the game, that’s an argument about the past as a matter of decision, for an agent that is both free and constrained, facing determination, randomness and the possibility of free choice. And all of this is functioning as the player remains free, because he thinks about his actions as an expression of his freedom. A freedom that we could define as « an action in the ignorance of the causes that determine them ». Spinoza is just a few swipes away from where we stand. More than just a specific medieval simulation, is Reigns something like a machiavellian political simulation ? What is reminiscent of Machiavel’s political thinking in the game is not that you have to plan evil schemes, betray or lie contantly -despire to popular opinion, that’s not what the florentine theorician was suggesting. The gameplay is an invitation for the agent (the player and/as the king) to disconnect moral sense and political sense, what is the tactical move and what’s the strategical move. Reigns is not about capitalizing points or currencies, but deals with the conservation of a fragile equilibrium. Therefore I can’t help but thinking about the evolution of the term saggitator in the political thinking’s lexicon, in terms of signification. While originally the figure of the saggitator whas supposed to refer to a tempered and contant sovereign, to the king as a balanced ruler. He utilizes his bow and arrow as a shooter measuring each of his strikes, pondering upon the consequences of him hitting the target. He has responsibilities, must be trained, both morally and and physically. But the word is later used in a different perspective. As we progress through the late Middle Ages, this figure tends to stand more and more for an allegory of the king as a modern politican, who deploys schemes and strategies in order to succeed in his actions, who’s a keeper of the arcana imperii, the power’s secrets. In other words, the conscient bearer of arms has become a tactician and a sharp shooter that pays more and more attention to the target(s). The player can obviously think about what’s the thing that should be done in order to be a loyal, caring and moral king. But there’s also and more importantly what’s the decision that must me taken in the moment, in order to survive. One can’t do much good if one’s dead. In Machiavel’s words, the gameplay in Reigns deals with the necessity of keeping the power stable. The duty of the monarch and his reason for being is to be virtuous, that is to say to rule, guided by a capacity to confront opposition, to prevent potential disasters, to catch opportunities… To sit on the throne next to the fortune. There’s a multiple level of strategic thinking in Reigns : the strategic move the king has to make as the player of his game, a game in which he has to survive. His time within the structure (his play) will eventually determine which kind of player he is. We are almost touching what’s « historical » in a videogame such as Reigns. To some extend, a game is « historical » as he’s able to present that, in « the past », was « present », a situation of agents, acting within structures, facing challenges, contingency and feeling engaged in the pursuit of a goal. Though they are contextually and chronologically distinct, what we are referring to as « the past » may not be fundamentally and ontologically different than our present, or at least there are elements of continuity between the two. The system of the past that Reigns is describing is not a « perfect system ». As François described it, a « perfect system », containing a single solution, an optimum to find, is putting the player into a prison. The history that’s to be read in a videogame, actually is not to be read, but to be played : therefore it’s an unbalanced system, a structure that allow room for decision or indecision, good and bad choices, short and long term consequences. Conclusion. What Reigns are made of. To conclude, I’ll just try to sum up my thoughts about historical perspectives in game studies based on what I learned in the course of the seminar, and drawing from the case of Reigns. First, historians are more and more interested in investigating the field of games studies with the disciplinary tools and methods ; and as a consequence are more likely to find historical questions and issues in videogames, integrating them in the meantime in the field of historical genres. Secondly, while thinking about games as historical discourse, they tend to focus a bit more on why and how is a said game history, and not only why it is not. We evolved in the idea that regarding history, between academic knowledge and videogames it’s the rupture that was significant, not the continuity, the things in common. This may be changing as I write these lines. Finally, somehow developing historical videogames -or writing history in the form of videogames- could be quite an efficient form of counterfactual/« what if » history. Judging from what I’ve been told, and based upon my experience of the game, even though it’s not filled with accurate dates, places and precise representations of the middle ages that are depicted in our books and articles, Reigns is definitely saying something about the past. Something like : the past is a human process, it’s not bound to be linear, teleological. If we are to seek ways to understand the past, videogames might be on to something. And yet, « it’s just a game » also meant to me that videogames not here to replace anything like books or articles. They’re not the perfect and long awaited form to answer the historical question that hasn’t be addressed yet, nor the miracle way to learn all about past eras. Videogames are an efficent way to present something quite specific about the past.